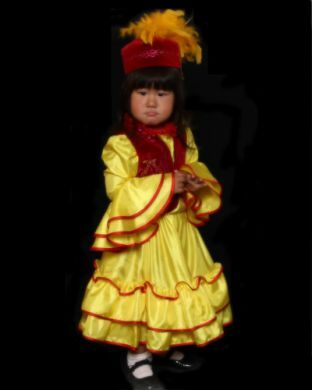 This is a Kazakh outfit for a girl, up to about 5 years old. These are made to order after you place the order. Elena will contact you for measurements and color choices. It will take several weeks to make the outfit after we get the color choices and measurements, and another 2-3 weeks for shipping. It comes with a dress, a vest, and a hat.